This year’s Cape Town Jazz Festival, as always, promises to be a proudly South African social affair. Jazz lovers from near and far can look forward to a stellar line up, promising a fun night of live music from local and international jazz artists. 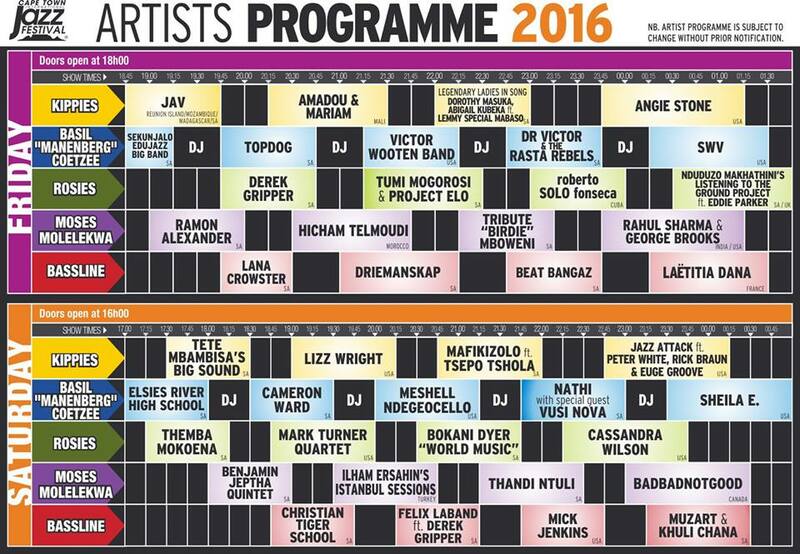 Below is the 2016 artist programme that Cape Town Jazz Festival-goers can look forward to. 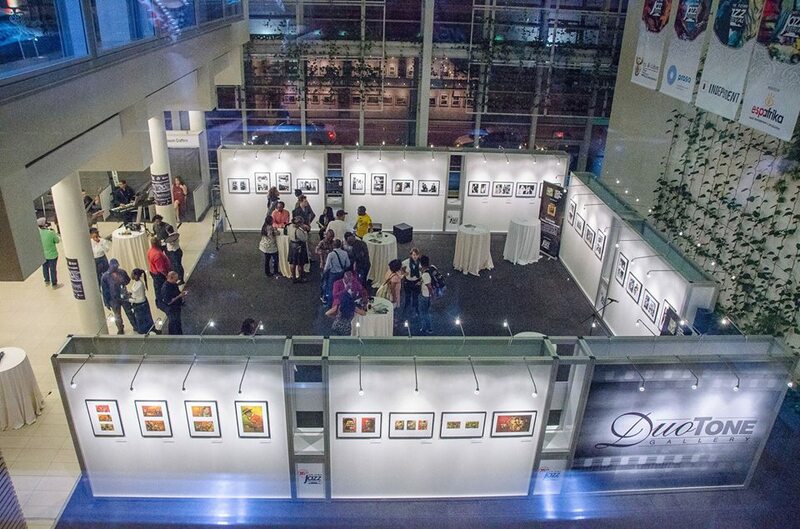 The Cape Town Jazz Festival hosts two other events: the free community concert, as well as the Duotone Photographic Exhibition. If you’re fond of jazz yet have a tight budget this month, consider attending the pre-festival community jazz concert at Greenmarket Square on Wednesday 30 March – for free. 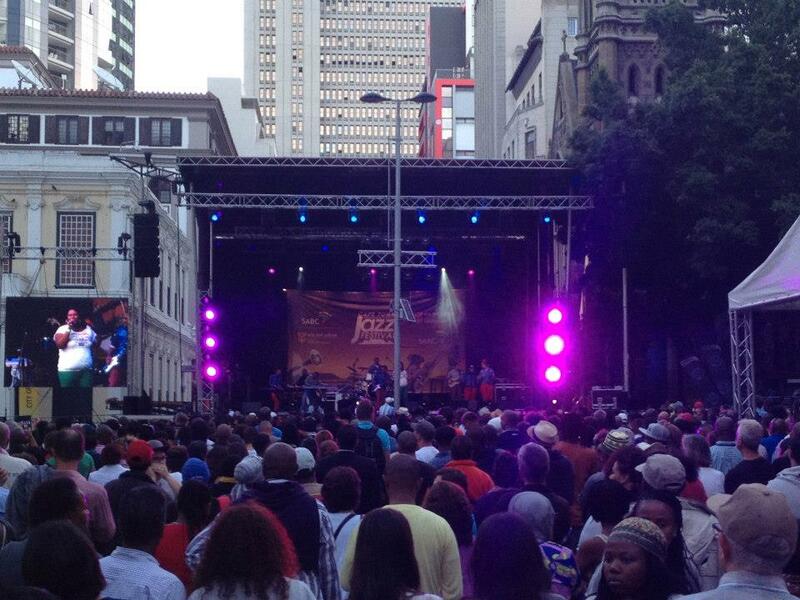 The free concert is held annually to show appreciation to the overwhelming support the Cape Town Jazz Festival receives from Capetonians. Expect vast crowds as thousands of spectators gather to join in on the joyous occasion. The concerts starts at 5pm but be sure to arrive early to secure a parking somewhere in the CBD. Take your love of jazz a step further and discover the history behind the music genre when you visit the world-class photography exhibition at the Duotone Gallery in Cape Town. Here, the essence of jazz through the years is captured and documented to showcase the emergence and growth of jazz on a global scale. The Duotone Gallery has showcased the works of Alf Khumalo, Basil Breakey, George Hallett, and Herman Lendard, among others. If you’re concerned about parking in the city or driving home late at night, consider staying at a Green Point guesthouse. Staying in Green Point will allow easy access to the CTICC and Green Market Square either by public transport, taxi or private car. 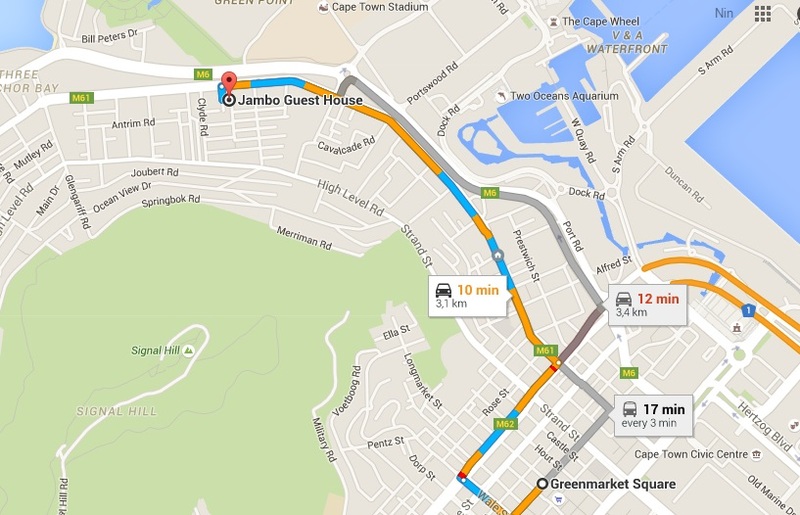 Distance from Green Point to Greenmarket Square, Cape Town. Make sure to purchase your tickets soon via Computicket as they’re selling out fast. Tickets for the weekend pass have unfortunately already sold out, with only day passes available at this point. Day pass tickets are sold at R590 per person. The Jazz Festival will be hosted at the CTICC (Cape Town International Convention Centre) on 1 + 2 April 2016.